1-660 - Smoker - 4.5H x 3"W x 3"D"
1-660 - Christian Ulbricht Incense Burner - Lucky Pig Chimney Sweep (Natural) - 4.5H x 3"W x 3"D"
Christian Ulbricht incense burner - The pig brings good luck to those in Europe along with chimney sweeps - 4 leaf clovers and ladybugs. 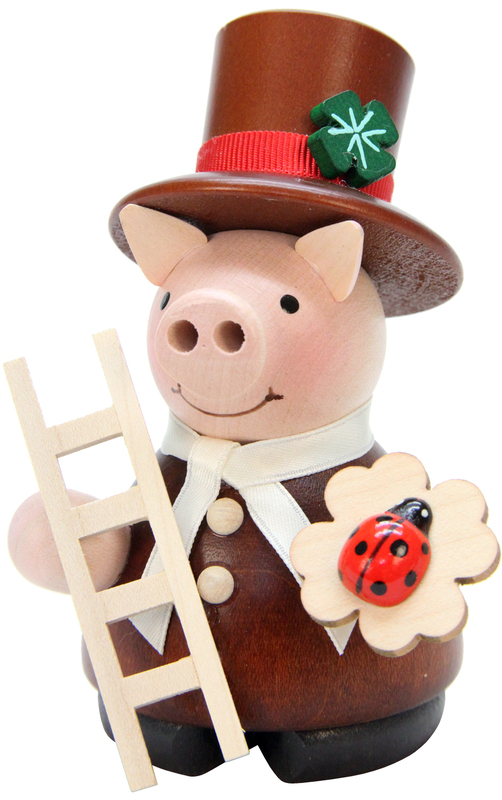 What could be luckier than a "Chimneysweep" Pig. Made in Germany.